From God’s words we understand: In the Age of Grace, the Lord Jesus only did the redemptive work but not the work of purifying man’s corrupt disposition. Due to the stature of the people at that time, the Lord Jesus only gave them the way of repentance, and asked them to understand a few rudimentary truths and paths to practice. For example: He asked people to confess their sins and repent and bear the cross. He taught them to be patient and humble, to love others as they love themselves, etc. These are limited truths that people of that time could attain. The Lord Jesus never expressed other truths that have to do with changing life disposition, being saved, becoming cleansed, being made perfect, etc. Therefore, even if we work hard to practice the Lord’s words, often pray to Him and even strive to constrain our behavior to not sin, corrupt thoughts still often come into our minds and we can’t control them. We always involuntarily commit sins, living in the cycle of sinning in the day and confessing at night. 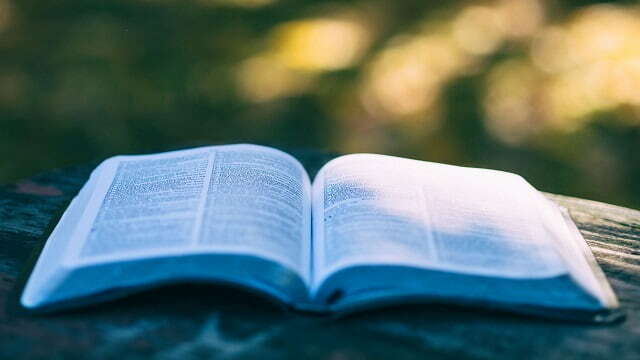 From God’s words we see that, during His judgment work in the last days, the words expressed by God reveal all the mysteries of God’s 6,000-year management plan. They clearly reveal the aim of God’s three stages of work of salvation and the purpose and significance of every stage of work, especially the path by which we believers can change our disposition and be cleansed, such as how to be an honest person, how to obey God, how to love God, how to follow God’s will, and so forth. Through His words, we also know God’s authority and holiness, and experience His love and salvation. Moreover, God’s words also expose our disobedient and God-resisting satanic nature. As a result, we clearly see the truth that we’ve been so profoundly corrupted by Satan, that our nature is arrogant, deceitful, selfish and despicable. Although we believe in God we cannot respect God as great, and we don’t have a heart that fears God. For the sake of our own interests we often lie and deceive God, deceive people. We believe in God but worship and follow man. Once we have status, we even show ourselves off and build ourselves up, so that people will listen to and obey us. If we do some work and sacrifice something, we will presume upon and flaunt our seniority, demanding grace and blessings from God. As soon as our desires are not satisfied, we will become negative and slow down, misunderstand and complain to God, etc. We can see that our corruption by Satan runs too deep. We have not lived out the likeness of real human beings at all. Facing the truth of our corruption by Satan, we feel ashamed and extremely remorseful, and we have appreciated that God’s holiness cannot be defiled and that His righteous disposition does not tolerate offense. Thus, we cannot help but prostrate ourselves before God, regretting our evil deeds, despising our satanic nature, and repenting to God. At the same time, we are willing to accept God’s judgment and chastisement, fulfill our duties as created beings, pursue the truth and a change in disposition under the guidance of God’s words, and obey everything God orchestrates and arranges. This is the result of the judgment of God’s words on His chosen people! In addition, the root of our sinful nature can also be resolved. Lingyun, above is some of my shallow understanding and knowledge. I hope they can bring some help to you. I also hope that you can read more of God’s words and I believe that you can find the answers to all your difficulties and confusions about believing in God in God’s words. » Click here to watch this short video and see what is the way of being free from sin.